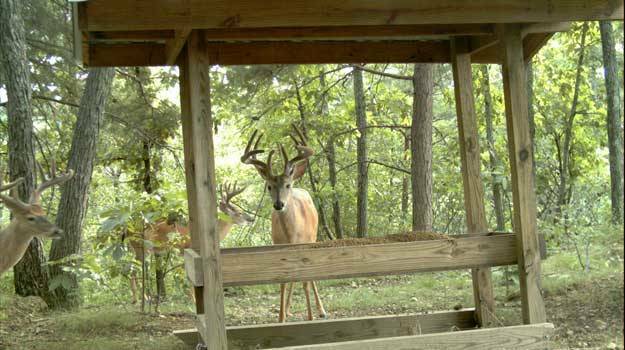 Hunters more than anybody realize how tough the late winter can be for whitetails. Deer in the upper Midwest, northern states, and Canada, can have massive amounts of snowfall to try and navigate through and are often forced to exert a lot of energy to find whatever food is available. Reliable food sources are few and far between and many deer consume a lot of low quality, hard to digest, woody brush in the late winter. 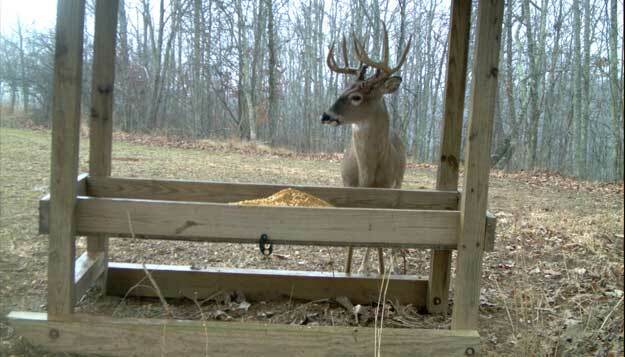 Providing supplemental feed in a free choice trough style feeder is a great way to relieve some of the physical stress on a whitetail’s body. 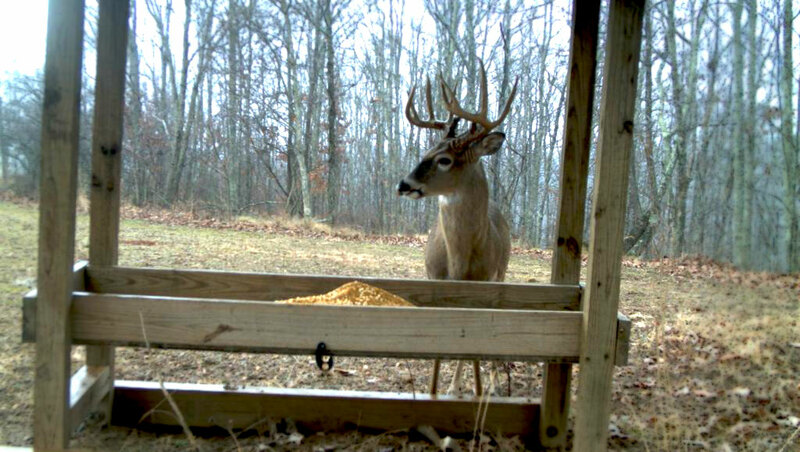 Record Rack makes a product called Golden Deer Nuggets that has a great ratio of fats, carbohydrates, and protein to help deer recover from the rut and get them headed into the spring in top health. I have found deer utilize this just as much as corn and it has a much better nutritional content. Deer that enter the spring in top physical shape, rather than having to repair and play catch up, have their best chance of reaching their genetic potential. 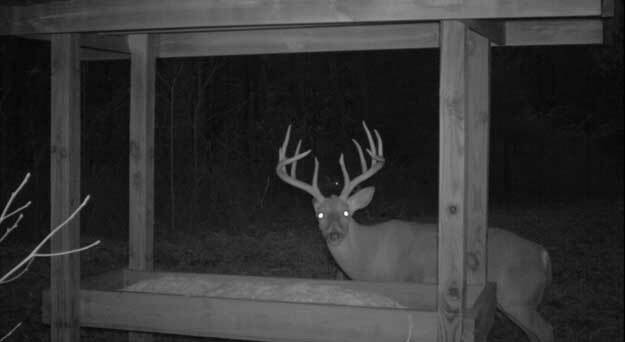 Does will have healthier fawns and bucks can have a head start on that next set of antlers when they have a steady nutritional late season food source. Feeders also attract numerous other critters during the winter, many of these are nest predators such as raccoons, opposums, skunks. With these unwanted egg snatchers coming to a steady food source, it makes it a great place to have traps out to knock down their numbers and helping out your turkey population. Today, I've hunted every province in Canada except British Columbia. I also hunt Tennessee, Georgia, North Carolina, Alabama, Oklahoma, Kansas, Iowa, Wisconsin, Wyoming, Montana, South Dakota and Colorado. I've taken elk, mule deer, whitetails, black bears and more wild hogs than I can count. I think about the only big game animal in North America that I haven’t hunted is the Shiras moose. Keeping the population down to a manageable density and balancing the buck to doe ratio is key in creating a more intense rut and increased competition for does. 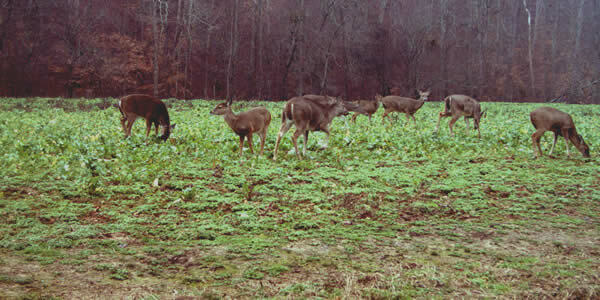 Keeping deer numbers down to manageable levels is also beneficial to your native browse and food plots.